24-gauge twisted-pair construction with 100% shielding. 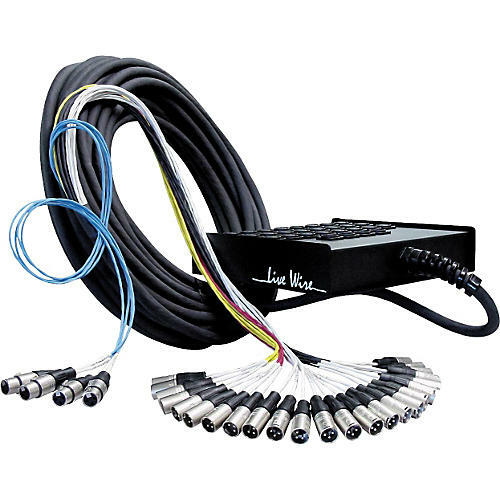 24 Neutrik balanced XLR inputs. 4 Neutrik balanced XLR returns. Heavy-duty nylon cable grip at box end. Durable, flexible PVC jacketing. Color-coded fan is numbered for easy identification.